Ever wonder what happens when the fundraiser is over? 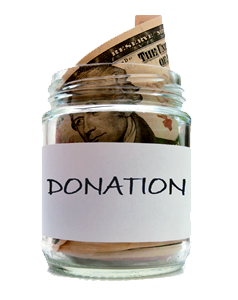 After all, fundraising activities take up a big part of a non-profit’s time and effort, because without it, they’re not able to provide the services that improve the communities they operate in. We often respond to there efforts without thinking, and with a vague notion that our money will find its way to the people or organizations we intended it to help. We buy raffle tickets and candy bars, participate in silent auctions, drop our loose change into a bucket at Christmas time, and buy tickets to attend a concert to watch our kids and the neighbor’s kids perform. And then we simply forget about it and go on with our lives. 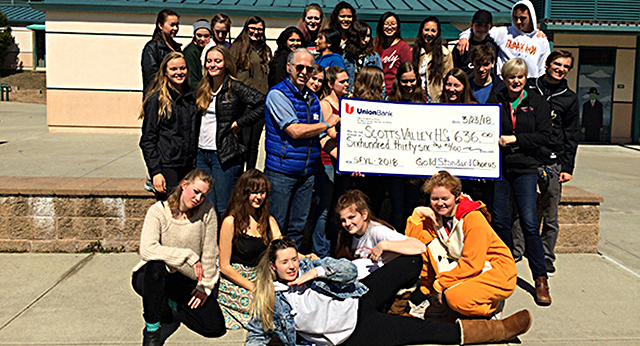 So today, we’re going to follow up on our Featured Non-Profit of the month, The Gold Standard Barbershop Chorus of Santa Cruz, and it’s school choir fundraiser, Sing For Your Life, to find out just what happened to the money spent on those tickets. After all, we promoted this event to you, and you may have even participated because of that – you should know how it helped the participating choirs! 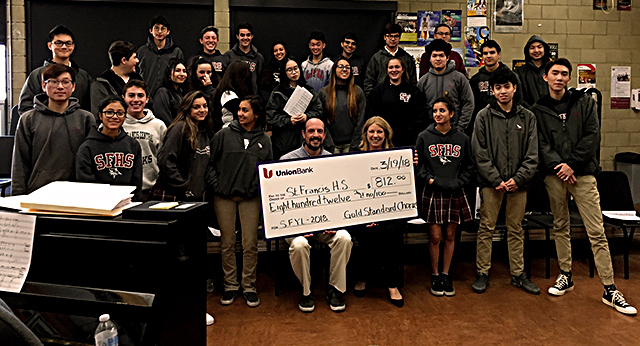 Over the past 15 years, including this year, the Gold Standard Chorus has distributed more than $76,000 to area high school choirs. Distribution from Sing For Your Life 2018 was made in person to each choir during class over the past five days – just two weeks after the event. 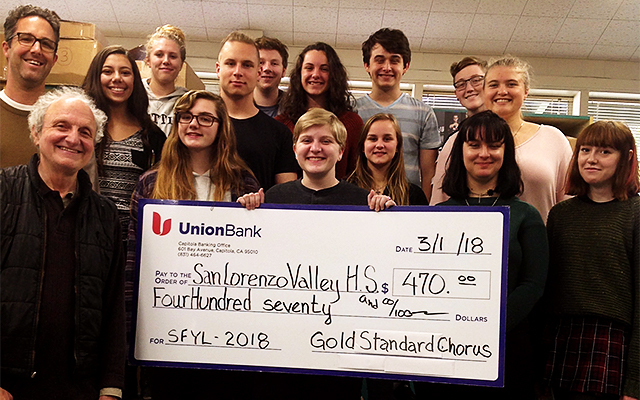 Roy Prevost (bottom left) of Gold Standard Chorus presents a check for $636.00 to director Beth Holenbeck (lower right) and the choir at Scotts Valley High School. The first three sources provided the funds to rent the venue, pay the guest quartet for their time, travel, meals, and accommodations, and other expenses. After those expenses were met, the remaining balance was divided equally among the five participating schools. None of the money raised is kept in the chorus accounts, or used to cover chorus expenses not related to Sing For Your Life. 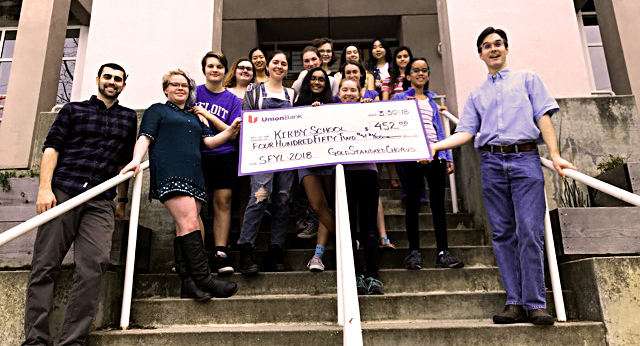 100% of the money raised by the student ticket sales was returned to the schools, along with they’re equal share of the remaining funds after expenses were met.This money will be used to purchase choral music and classroom equipment, pay accompanist fees, transportation to outside performances and competitions, or any other expenses the choir director and students see a need for in order to benefit the choir. 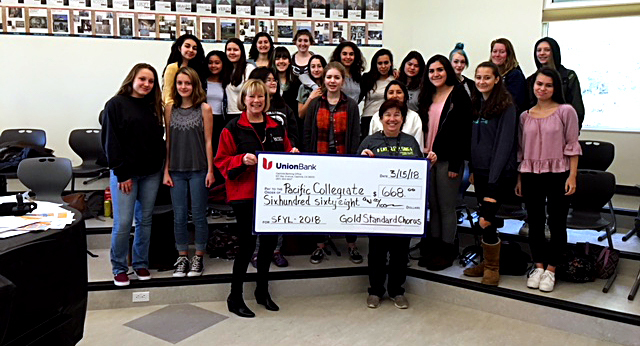 100% of the $447 raised by raffle ticket sales was deposited into the Ken Brosius Scholarship Award Fund, which will be depleted at the end of the school year in the form of a scholarship award to one or more graduating seniors continuing their music career studies in college.